Instead of visiting Canada's most popular national parks, be a rebel and visit Mount Revelstoke. Just a short drive from Washington and Idaho, there's a vast country with massive mountains, crystal-clear lakes, and seemingly endless areas to explore. It has everything that campers, hikers, bikers and nature enthusiasts love about the Pacific Northwest, only more of it. Yet for some reason this place — this country called Canada — is often forgotten. It shouldn't be. Canada, our friendly neighbor to the north, is a great place for anyone who loves the outdoors. And this year is as good a time as any to explore its national parks. This year, Canada's Discovery Pass, which permits access to any of its 47 national parks or 170 national historic sites, is free. It's how Canada is celebrating its 150th anniversary of confederation, Canada's birthday, says Joel Reardon, a spokesman for Parks Canada. "We're welcoming anyone and everyone who wants to come enjoy Parks Canada places," he says. Banff National Park, about 330 miles north of Spokane, is a common destination for U.S. visitors, and for good reason. It has abundant wildlife, Rocky Mountain peaks, a nearby mountain town and glacial lakes. But with the free Discovery Passes, Banff might actually be too popular this year, Reardon says. The same goes for Jasper National Park, northwest of Banff, and Waterton Lakes National Park, which is far closer to the U.S., just north of Glacier National Park in Montana. Rather, Reardon suggests some of Canada's more hidden gems. 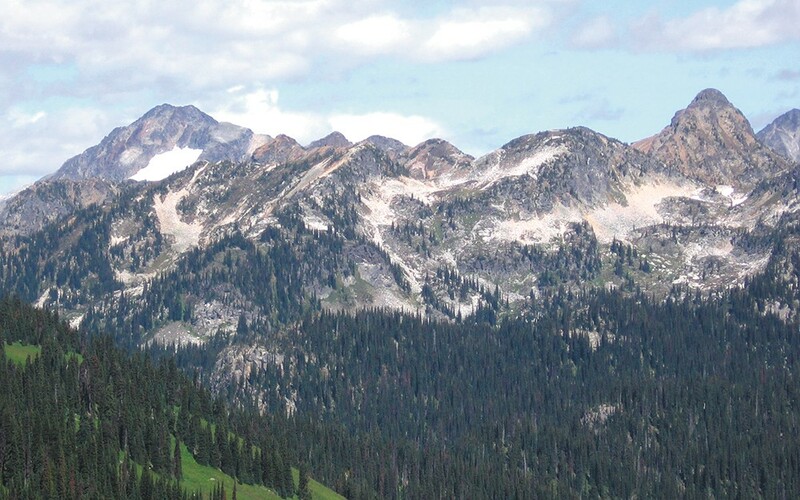 Mount Revelstoke National Park, for example, is three hours west of Banff in eastern British Columbia. There you can find "dramatic mountain landscapes and dense rain forests," Reardon says, and it's an awesome place for winter sports in the fall. Otherwise there are biking and hiking trails all the way to the peak. Canada's version of Glacier National Park, not far away, similarly has fantastic forests and tall mountains. Yoho National Park, directly west of Banff, has plenty of campgrounds, scenic drives and opportunities for backpacking along with its mountain peaks and "world-renowned fossil sites," Reardon says. In Alberta, Bar U Ranch National Historic Site, south of Calgary and three hours north of the Montana border, is a good place to pretend you're a cowboy, with roping classes, a cookhouse, and chances to learn how to live on a ranch. For those who are interested in stargazing, Alberta's Elk Island National Park, east of Edmonton, is the place to be. Grasslands National Park in Saskatchewan, just north of the Montana border, also has some of the darkest skies around. It's also where you'll find dinosaur fossils, and there are plenty of bison around to stare at (and possibly run away from). Wherever U.S. visitors want to go, Reardon stresses the importance of planning before crossing the border. It's crucial to know what to expect, which roads to take, and which services are available before leaving. Parks Canada has an app (pc.gc.ca/en/multimedia/apps) you can download on your smartphone that makes planning much easier. Essentially, it's a guidebook with an interactive map and information on each place, including camping reservations. So, in short, go to Canada, and know that there are plenty of parks just as worthy of exploration as the more popular destinations.